Solvang has become one of my favorite places to escape for a weekend to experience a destination that is steeped with California history, but has also moved into the 21st century bringing chic tastes and ambiance to attract sophisticated travelers looking for a now experience savored in an old world atmosphere. 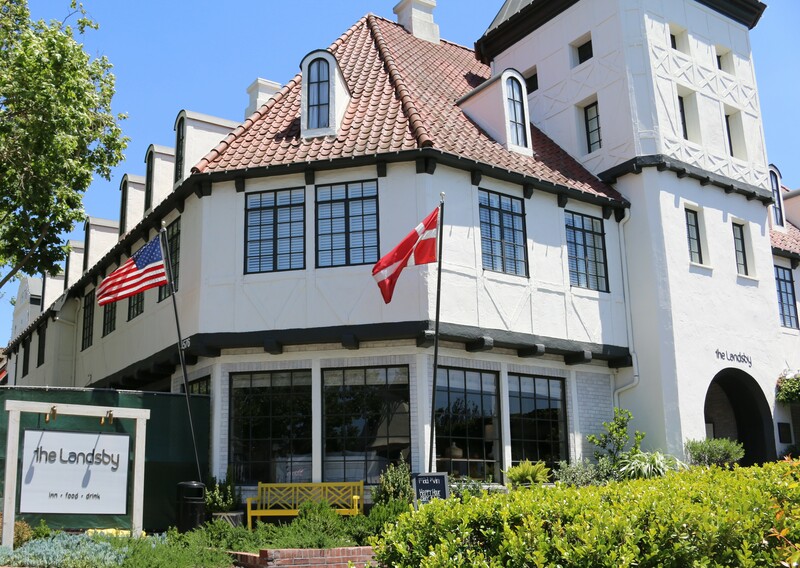 Located in the heart of Santa Ynez Valley, Solvang Danish for “sunny field” is a visual delight of Danish style architecture, complete with windmill; a destination so authentic people from around the world flock here to celebrate special holidays. Solvang was founded in 1911 by a group of Danes who settled in the west to escape the Midwestern winters. Due to its short proximity to Santa Barbara, only a forty minute drive from Santa Barbara to Solvang, the Danish style community attracts visitors from up and down the Central Coast who are looking for a romantic weekend away or families planning a memorable vacation touring the museums, eating Danish pastry and spending time at the Mission Santa Inez. 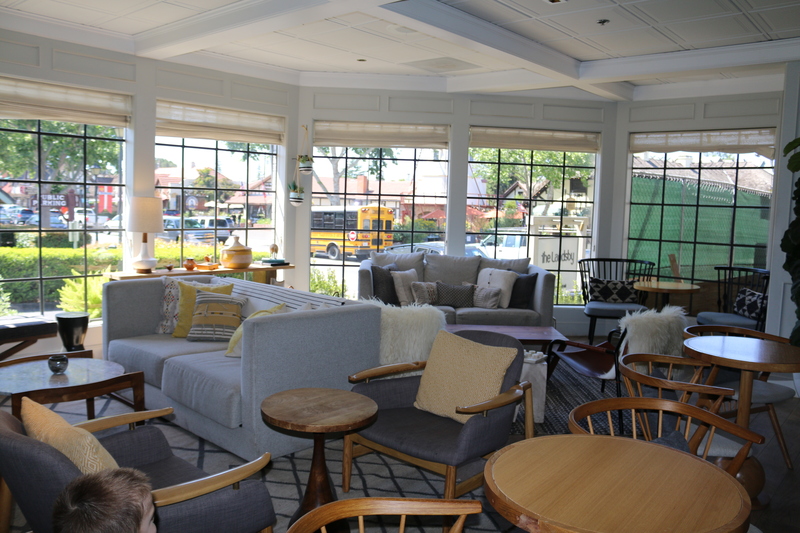 The new Landsby Hotel on Mission Drive, an historic building that has been transformed into a state-of-the-art venue, is now a major attraction with the hip travel crowd. The interior design was done by the same firm who reinvented the Kimpton Goodland in Goleta, California. The inviting restaurant Mad & Vin offers an amazing breakfast menu of healthy options as well as lunch and dinner plates that please. The bar at the Landsby is touted by many locals to be the most popular meeting place in the town on Friday and Saturday night and is as comfortable a spot as your own livingroom. The Happy Hour offers a collection of unique cocktails and great appetizers. According to general manager Barry Prescott “Chef Seth Nathan is creating new menu items with The Landsby's select clientele in mind, using local food products and produce only.” Their wine menu is overflowing with wonderful local wines. The interior design work in the hotel is California comfortable and outstanding. I would probably call it contemporary country chic. Each room has every state-of-the-art amenity to enjoy in a cozy respite, where if you ask room service will bring you your own pint of McConnell's chocolate ice cream to meditate over in your beyond comfortable bed at the end of a busy day! Recently, the hotel completed construction on a beautiful fire pit courtyard for guests enjoyment. If you schedule a visit Solvang on the 3rd Wednesday you will be treated to special dining and drinking discount opportunities. The Landsby Hotel Mad & Vin Restaurant is offering a fantastic prix fixe dinner on 3rd Wednesdays. Contact: reservations@thelandsby.com for a table. Just across the street at 1555 Mission Drive is the Succulent Cafe Wine Charcuterie, an amazing restaurant offering the finest Artisan Charcuterie & Farmstead Cheeses to enjoy with a bottle of wine from their extensive menu of fine local wines. The before dinner cocktails include intriguing options like the Bacon Bloody Mary, Moscow Pig or just a very well made Cosmo and more. This is a welcoming room with wooden floors and a wine wall display that's so visually appealing. The menu has so many unique options it is difficult to settle on one. I highly recommend their “Three Little Pigs” entree of pork tenderloin, wrapped in bacon with potato cakes, creamed spinach and topped with sweet vermouth pork jus. Another knock out is the Braised Short Ribs with Delta grind grits and caramelized onions that are simply supperb paired with Margerum MS or Brander Cabernet Sauvignon. Vegan or gluten free items are available, and their menus are created with a farmer's market creative chef focus. Even the dessert has a bacon twist, and it is sinful. The amazing preparation and presentation at Succulent Cafe could easily be described as super sophisticated comfort food. It would seem the success of this 'bacon is king' venue is the tight team effort of the restaurant group who cover all the bases to offer outstanding products, creatively prepared and presented in a warm and inviting room. The outside patio is charming on warm evenings, and was packed on the night I visited. Kudos to general manager Brian McLaughlin and his talented team on a job well done. I can hardly wait to go back and tackle yet another entree on their menu. For information or reservations visit: www.succulentcafe.com. Visit: www.solvang3rdwednesday.com for additional details on this fun way to experience the best of Solvang during summer and fall. Visit: solvangcc.com/calendar. 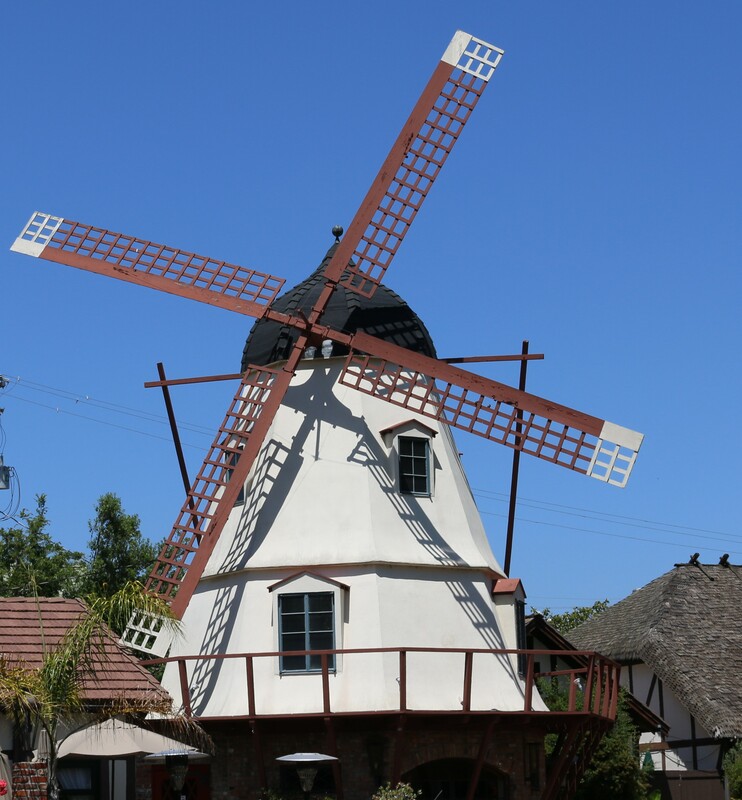 For everything you need to plan a weekend or vacation filled with the best of Solvang.